French artist and Boston resident Marguerite Wibaux will lead a workshop on alla-prima, a technique made famous by Matisse. Marguerite will lead this fascinating workshop, which will begin with an explanation of the technique and a presentation of the model. The attendees will then be invited to pick up their brushes and produce their own portraits, alla-prima. Easels, canvas, brushes and acrylic paint provided will be provided to all attendees. A member of the Center since 2017, Marguerite has quite the atypical career. 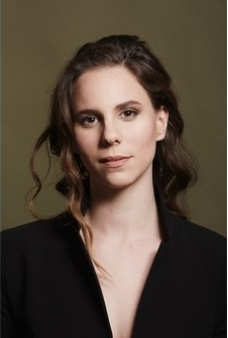 After graduating with an MBA from the prestigious HEC Paris, Marguerite worked in advertising for the most-renowned French Maisons, from Cartier and Hermès to Van Cleef, Hennessy, the Italian Cavalli, and Armani. These past experiences in the realm of couture translate into Marguerite’s art. There is a passion for patterns and an obsession with composition and structure, while staying true to the energy and character of her subjects. The colorful diversity of Marguerite’s artwork is also influenced by her childhood. Marguerite was born in Argentina, and has lived in Peru, Italy, China, France, and the USA. Currently, Marguerite’s pieces are commissioned and sent to galleries across the globe, from Milan to New York.